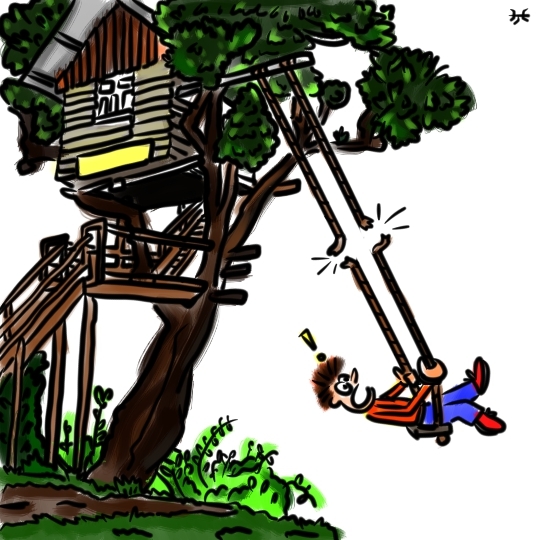 While the treehouse is interesting, next to the tree house, is a simple swing that lets people swing out into the empty space above a canyon. This swing is known as "The swing at the end of the world". 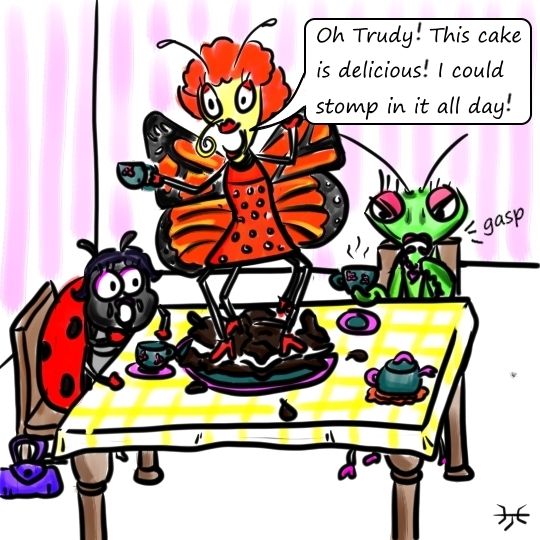 Butterflies eat using a long skinny body part called a "proboscis", but the proboscis can't taste the food. Instead, butterflies taste their food using their feet. 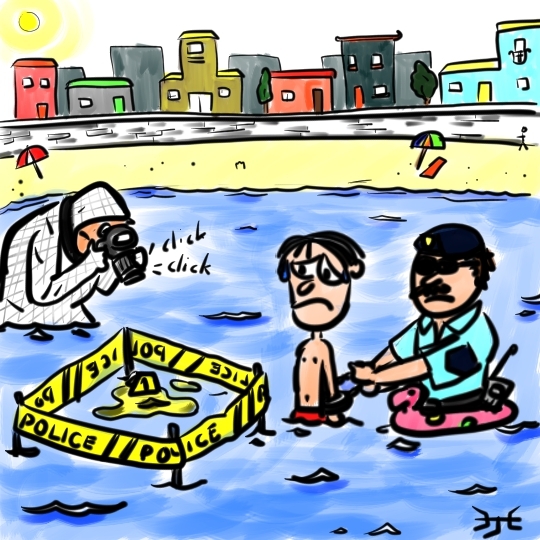 There's No "P" In "Sea"
In Portugal, it is illegal to pee in the sea! 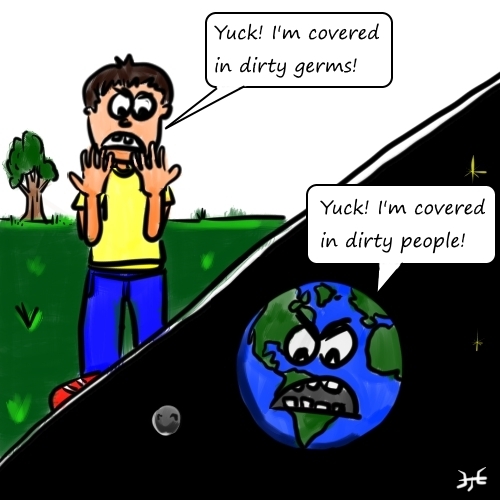 There are more germs and bacteria living on your skin than there are people living on the Earth. The Japanese Maqacau (also known as the "Snow Monkey") can survive constant cold snowy conditions of -14°C (~7°F). 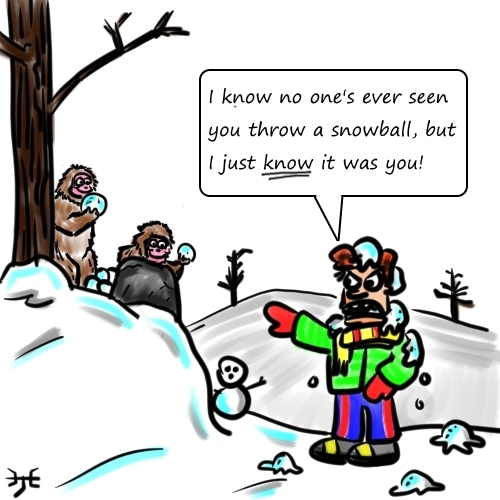 The young snow monkeys have been observed making and playing with snowballs, though they've never been seen throwing snowballs. 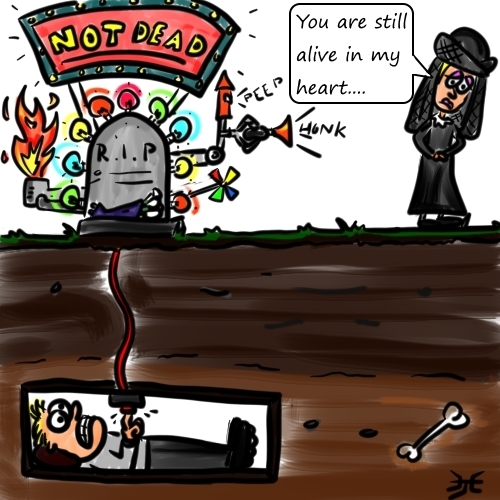 Can You Dig Me (Up)? Nobody wants to be buried in their coffin while still alive, so in the 18th and 19th century "safety coffins" were created. These coffins included devices so that the buried person could signal they were still alive. 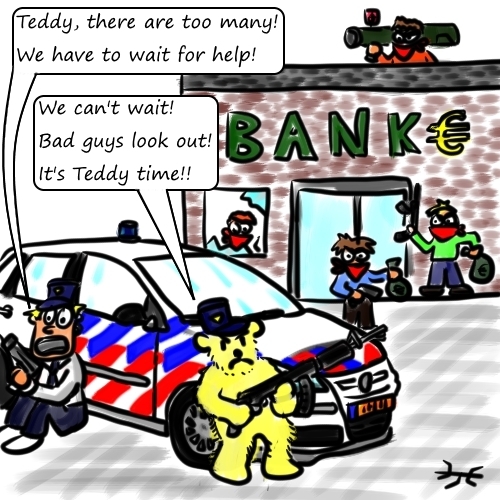 In Holland, every police car has a teddy bear in it. In 1783 in France, the first hot air balloon with passengers took flight. The three passengers were not people though. 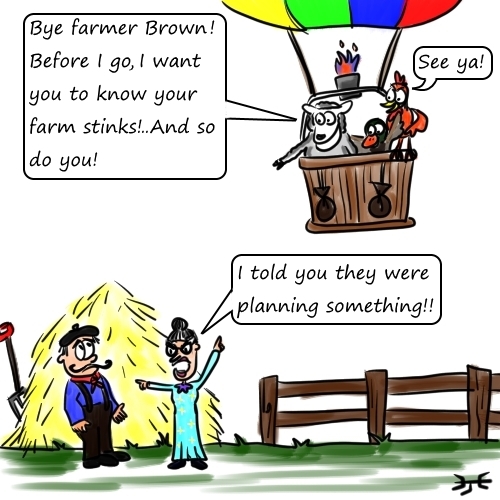 Riding in the balloon was a sheep, a duck and a roster. Sardinia is an island in the Mediterranean Sea. This island has a specialty cheese which is quite unique called "Casu marzu". It is made from sheep milk - and it also includes live maggots! The maggots are put in the cheese on purpose to help with the flavor and texture. 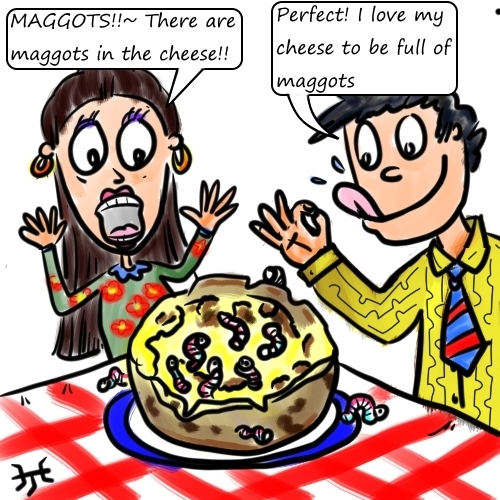 Some people remove the maggots before they eat it...but some people eat the maggots too! 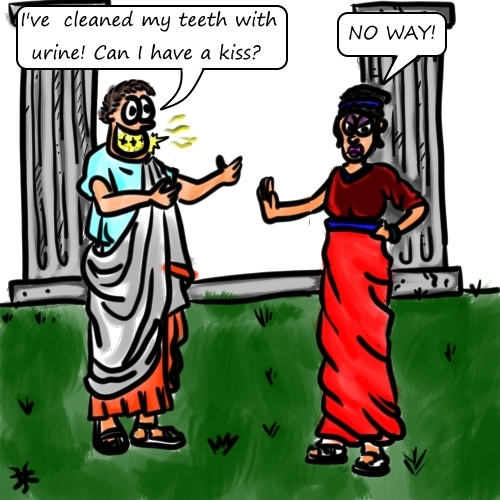 Romans used urine (that's pee) to whiten and clean their teeth! 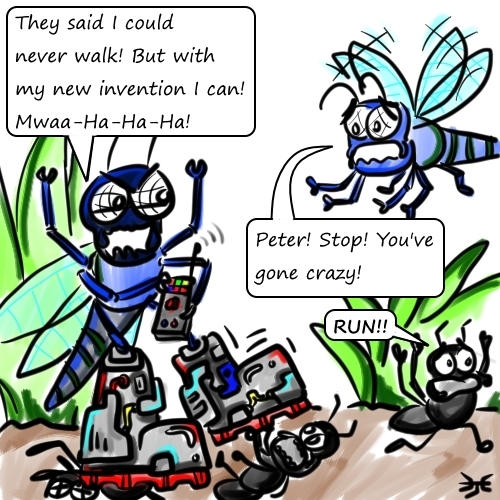 No Such Thing As A "Dragonwalk"
Even though dragonflies have 6 legs (like all insects), they can't walk! 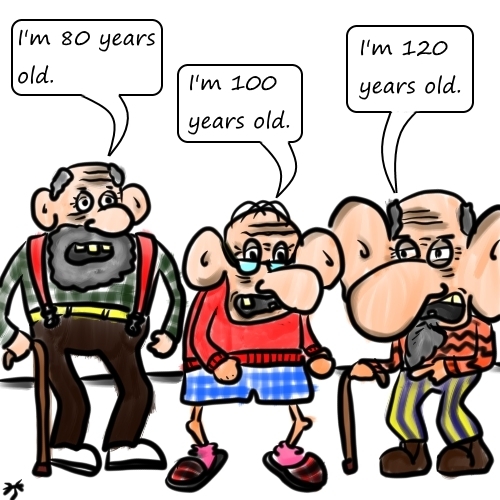 Bones and muscle in your body stop growing as you get older, but your ears and nose will continue to grow for your whole life! 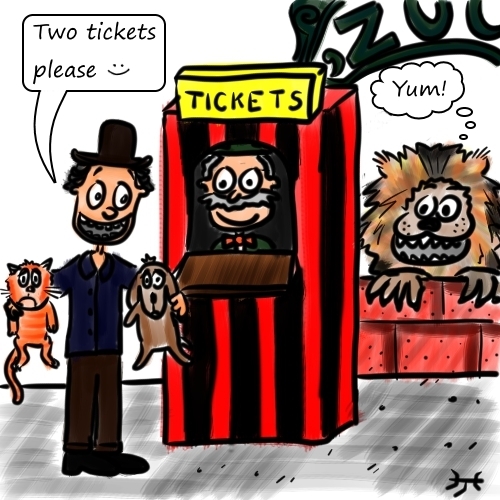 BUT ... you could also bring a cat or dog and use it to pay for your admission, the unfortunate animals would be used to feed the lions! The first working escalator was created in 1896 by a man called Jesse W.Reno. When the first escalator was installed in the London Underground system in 1911, the public had never seen anything like it and didn't trust it. 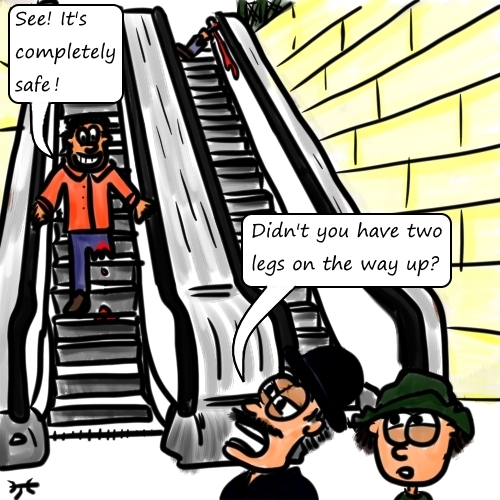 To show them it was safe, a one-legged man called "Bumber Harris" was paid to ride up and down the escalator to prove it was safe. Lots of children enjoy Easter Egg hunts during Easter, but in New Zealand, in an area called Central Otago, every year they have an Easter Bunny hunt. 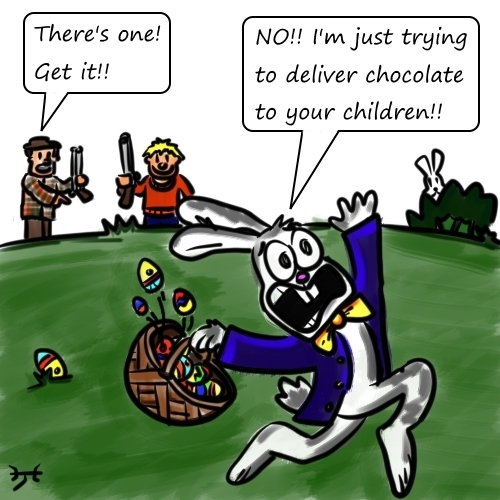 It's not children looking for chocolate rabbits though, it's teams of hunters trying shoot as many rabbits as possible! While rabbits are cute, for farming areas in New Zealand, they are viewed as a major pest due to the damage they cause to the environment. The Easter Bunny hunt is one way to bring down their numbers. 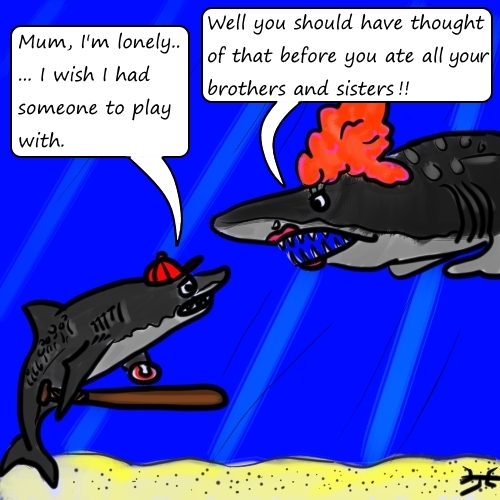 Female sand tiger sharks can have about 12 baby sharks growing inside them during pregnancy, but they only give birth to 2 - so what happens to the others? 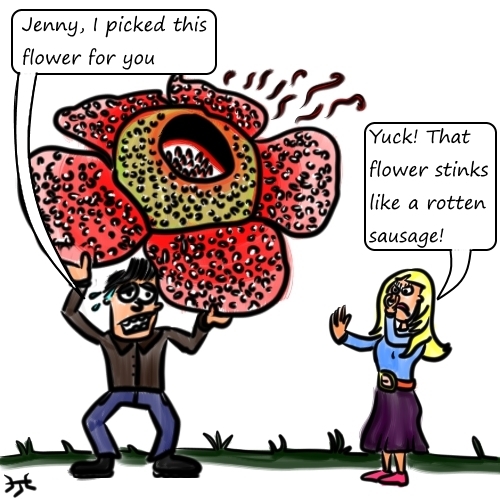 The biggest single flower in the world is the Rafflesia Flower, which grows in the rainforests of Southeast Asia. Unlike most other plants, it has no stem, leaves, or roots, leaving some scientists to consider that it may be a related to fungi. Another interesting fact about this plant is that it smells like rotten meat! 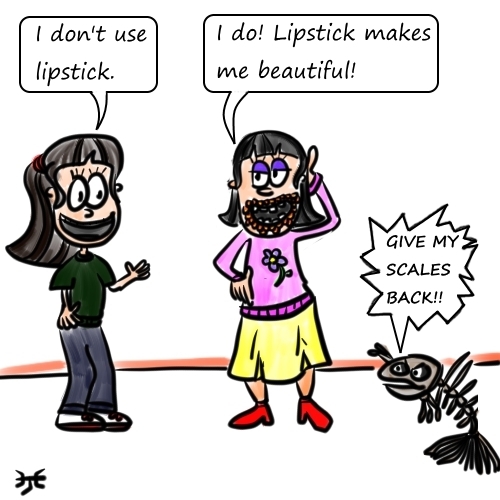 Many types of lipstick contain fish scales as an ingredient! 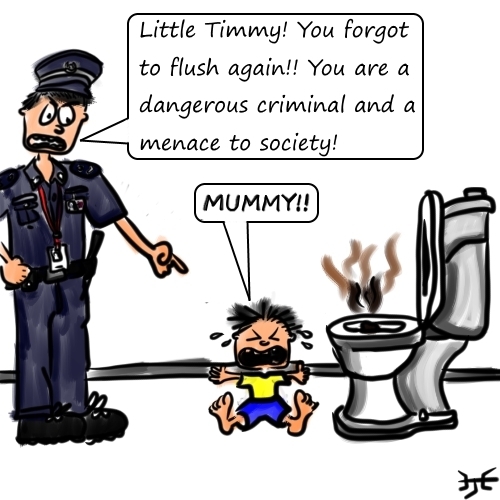 ..so in Singapore it's illegal not to flush the toilet! If you get caught not flushing the toilet, you could be fined over $150 dollars! 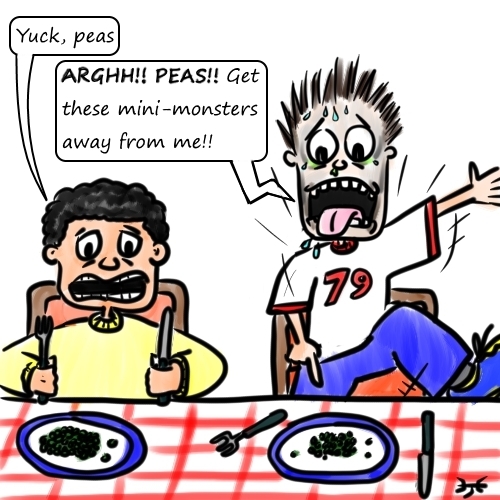 You might not like to eat vegetables, but did you know some people are actually scared of vegetables? The fear of vegetables is called "Lachanophobia"
Rats can multiply very quickly! 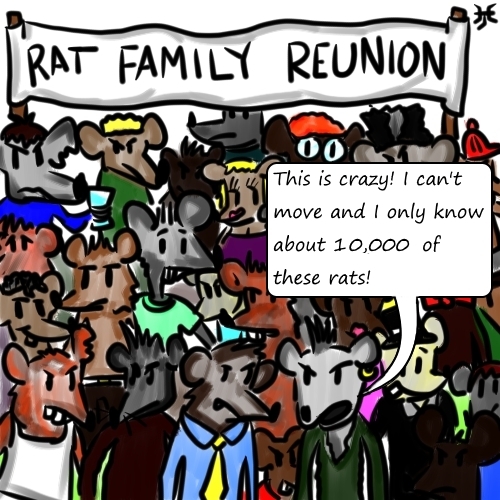 In good conditions, 2 rats could create more than 1 million relatives in 18 months! 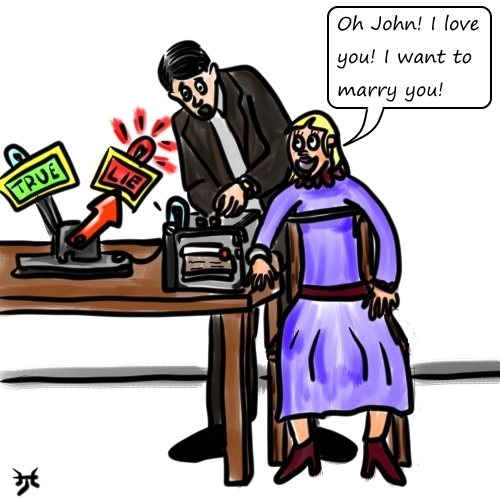 John Augustus Larson is famous for inventing the modern polygraph machine (Or lie detector) in 1921. He was a policeman at the time he invented it. Interestingly, John Larson married the first person he ever interrogated on the lie detector! One of the most dangerous sports in the world is Banzai Skydiving. 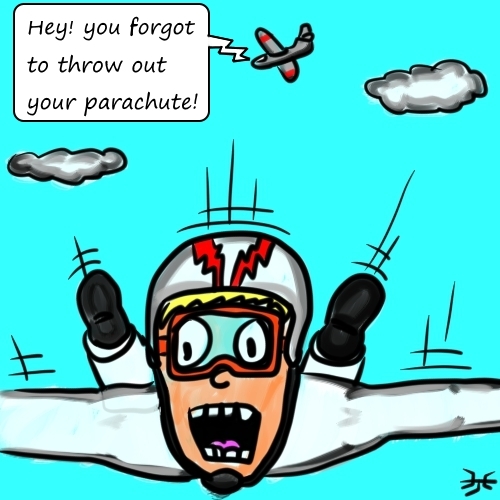 This sport requires someone to throw a parachute out of the airplane, wait a number of seconds, then jump out of the plane, catch up to the parachute and put it on. It is a sport with little room for mistakes. Humans have been creating art for thousands of years. 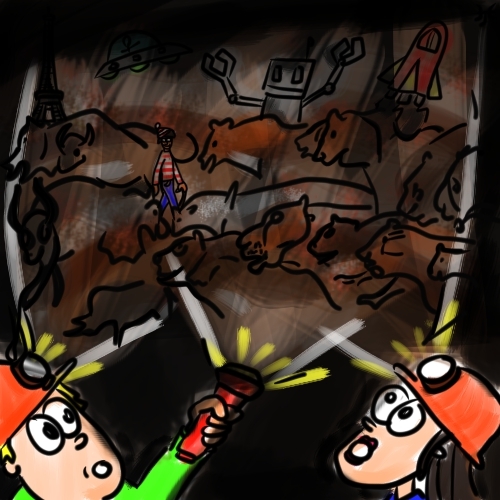 One of the best examples of prehistoric cave art is found in Chauvet-Pont-d'Arc Cave in France. The walls of the cave have been painted with hundreds of animals including cave lions, panthers, bears and rhinoceroses. Although these paintings are about 32,000 years old, they are not the oldest cave paintings found. In Indonesia cave paintings that are about 40,000 years old have been found. Vladimir Demikhov was a Russian surgeon who conducted some bizarre experiments. 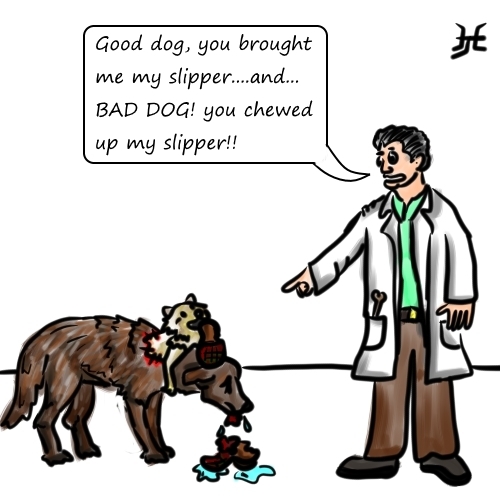 In 1959 he successfully managed to surgically transplant the head of one dog onto another dog, effectively creating a two-headed dog! He created about 20 two-headed dogs in 15 years. Sadly the dogs didn't live for long after this, the longest one of these two-headed dogs lived for was about 1 month. While this may sound like a crazy thing to do, his experiments helped pave the way for human organ transplants. 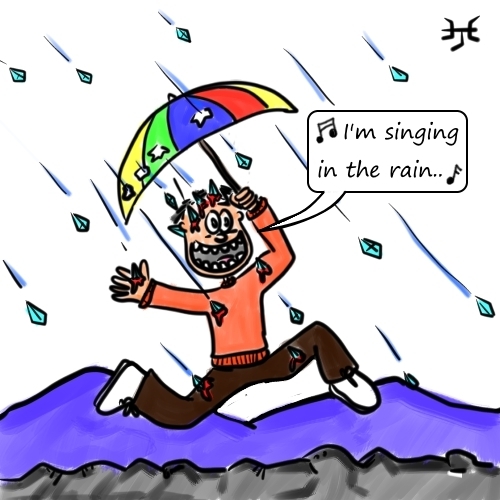 On the planets Neptune and Uranus it rains diamonds! 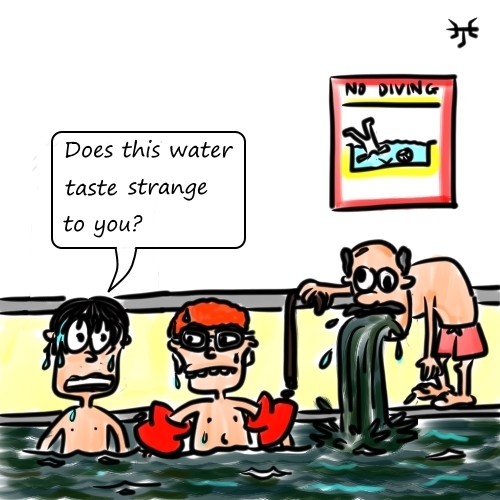 Most people will produce nearly 24,000 litres of saliva during their life! This is enough to fill 2 swimming pools! 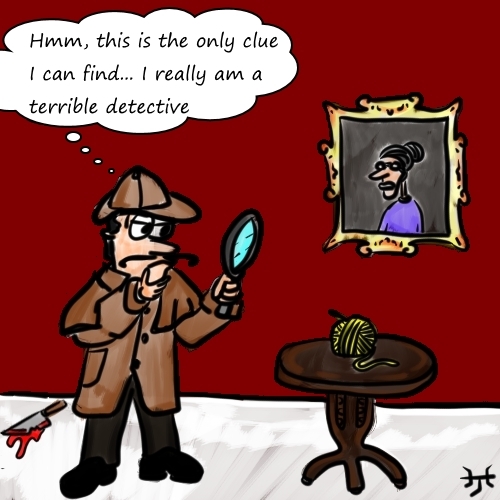 The word "clue" can be traced back to the Middle English word "clewe", meaning "a ball of yarn". Its meaning stems from an ancient Greek story where a hero called Theseus was able to solve the riddle of a giant maze (the labyrinth) using a ball of yarn. 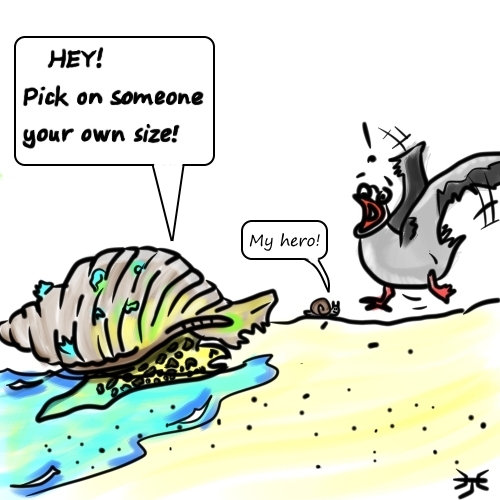 The largest snail in the world is the Australian Trumpet Snail. It lives in the sea in Northern and Western Australia. 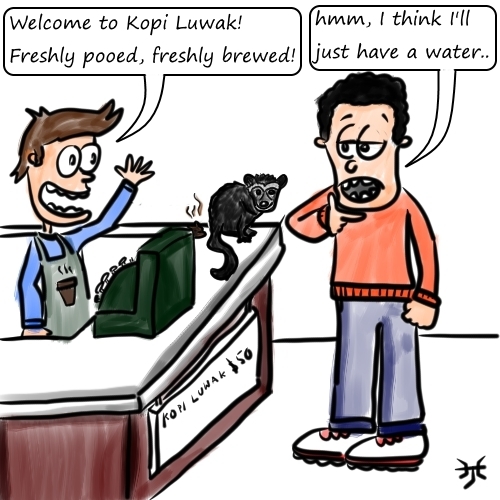 One of the most expensive types of coffee in the world is "Kopi luwak". It has reached prices of $700 US dollars per kilogram. The thing that sets this coffee apart is it made using coffee seeds that have been pooed out by an animal called a civet!